During this century the architecture reveals the capital accumulation in hands of the most important families alcañizanas. 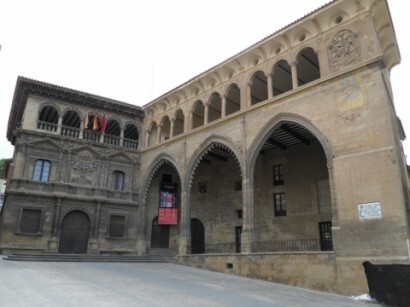 The most prominent thing of him is the proliferation of the manors and, especially his representative building the Town hall, important I building of the civil Aragonese architecture, which forms definitively a space urban of vital importance for Alcañiz: the Square, in the crossroads that so intelligently the alcañizanos of the 13th century organized. Austerity, economic atony, religious introspection. The religious orders are established in Alcañiz: of Carmen and of the Dominicanss convents. In the middle of the 17th century the Valerianos school is constructed, that will monopolize the education of the alcañizanos. In 1652 Felipe IV the title of "City".